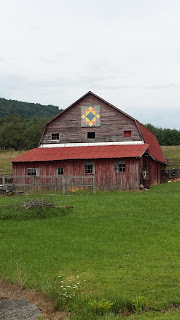 Have you wondered what the painted square on the sides of barns, sheds, garages, houses and other buildings are as you drive through our gorgeous Ashe County? Well, they are called Barn Quilts! 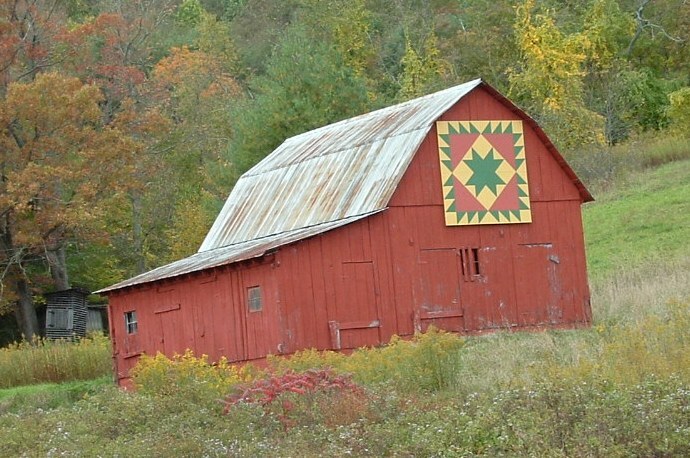 Ashe County has a special place in history for the Barn Quilt movement. It dates back to pre-civil war times. It is said that Mount Jefferson was very much a part of the Underground Railroad. Dotted around the mountain are caves that the slaves would hide in on their way to Virginia and points further north. As slaves traveled the Underground Railroad, families would take a scrap of quilt, most often a single block and tack it to the barn, their fence post or porch. This was an indication to the slaves that it was a safe haven for food, shelter and comfort during their travel North. 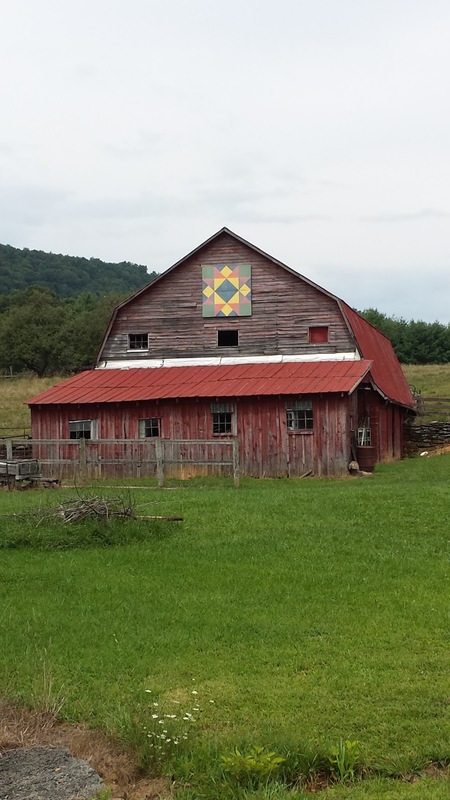 Displaying Barn Quilts in Ashe County was started as a project funded by the Blue Ridge National Heritage Grant through Handmade in America. The mission of the Blue Ridge National Heritage Area is to protect, preserve, interpret and develop the unique natural, historical a cultural resources of Western North Carolina for the benefit of present and future generations. Supported by the Ashe County Arts Council this project has blossomed from about 150 different quilts in the beginning to a much larger number today. You can pick up a brochure at the Arts Council or download one from their site and follow along six different driving loops through the county where you can enjoy a drive through our gorgeous county and marvel at the different quilts displayed. Folks today put up barn quilts for many reasons, and this movement of Barn Quilts has become a treasured public art form. Barn Quilts come in all shapes and sizes and we have several wonderful local shops where you can go in and browse the different already made barn quilts, or even commission one that has special meaning to you or your family. Quilt Square Girls or Barn Quilt Headquarters in West Jefferson have a wide selection of quilts to pick from. You can even come for a few days and make your own quilt. Florence Thomas Art School in West Jefferson will hold several "Make a Barn Quilt" classes throughout the year. These are a lot of fun and you get to take home a quilt that you created. Nearby Watauga County also hosts a Barn Quilt trail as does Avery, Wilkes and Yancy counties. The first official quilt trail was begun in 2001 in Adams County, Ohio. 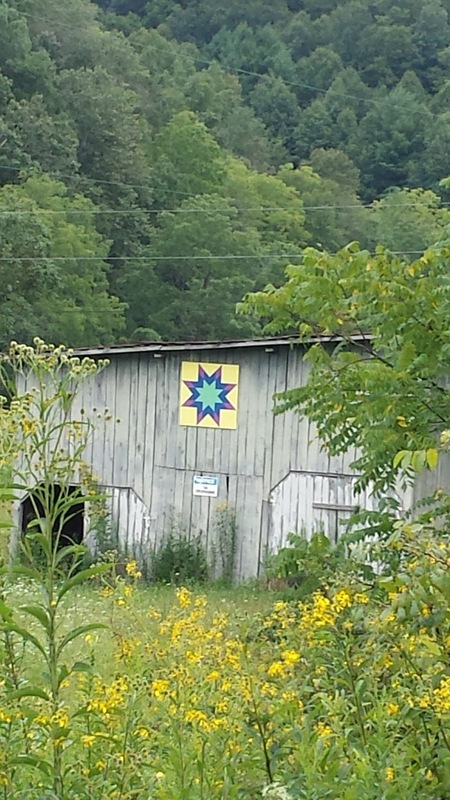 Donna Sue Groves wanted to honor her mother, Maxine, a noted quilter, with a painted quilt square on the family's barn. Though many believe that the Groves farm is home to the first barn quilt, that is not the case. 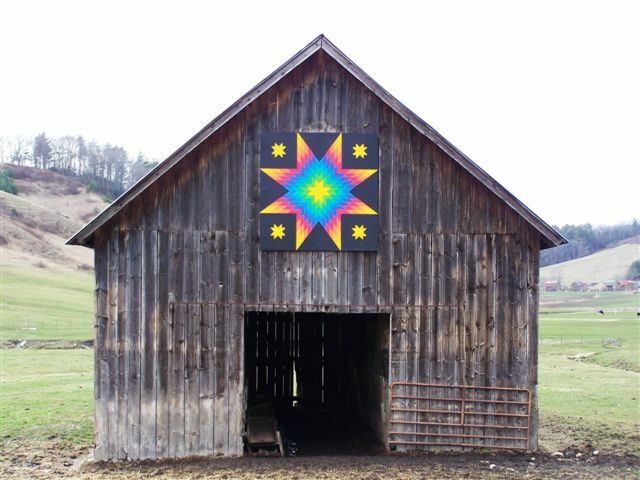 The first barn quilt was an Ohio Star which was unveiled as part of a community celebration at a nearby herb farm. The Groves farm later became part of a trail of 20 barn quilts that formed a driving trail throughout Adams County. From this, a U.S. national quilt trail has rapidly spread across the country and even into Canada and New Brunswick. As you drive across the United States, you can click on this interactive map Barn Quilt Trails which gives you driving routes to see quilts across our country. Take a drive and have a look!